Are you as excited as C and R about the start of college women’s basketball? If the weather has to get chilly and the hours of sunshine has to shrink, we would rather spend our time in doors watching women’s basketball. Well, for the first time in 32 YEARS, Any Tucker will not be on the bench. Longtime Stanford associate head coach Amy Tucker is retiring from coaching but will remain with the program in an administrative role, according to the Stanford site. 32 YEARS! To replace her, Stanford hired someone very familiar with the program, who can connect to the players. Say hello to new assistant coach Lindy La Rocque, who played for Stanford from 2009-12. Stanford appeared in the Final Four each season during her undergraduate career and advanced to the national title game in 2010. She will be forever remembered for the “Lindy Slide” where she chased down a ball in her own back court, knocked over Cal’s Alexis Gray Lawson, slide on her belly while corralling said ball, and shovel passed it to a streaking Jillian Harmon under the basket for two points. But no one remembers that very clearly…LOL. What’s in store for Stanford? 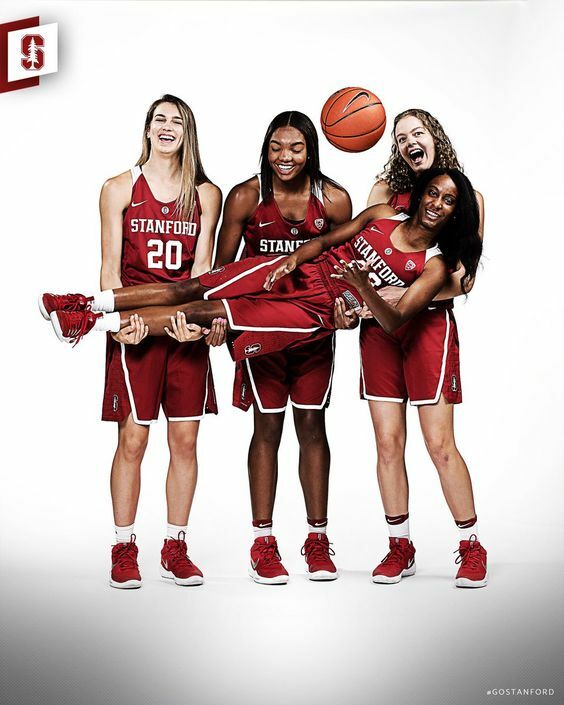 First, we have a quartet of freshmen, one who head coach Tara Vanderveer said can dunk. Two, Tara has ANOTHER new system, this time patterned more like the Golden State Warriors. Could be exciting. Also, the post players are going to come out to the three point line and shoot threes. Could also be ugly. It’s odd that there is only one preseason game, against UC San Diego, although maybe they learned from the NFL with those meaningless preseason games where everyone got hurt. However, Tara VanDerveer took her once-every-four-years overseas trip to Italy. That team gets to bond over crumbling ruins and competitive card games, but more importantly, the team is allowed by the NCAA to practice earlier than other, non-trip year teams, and also play exhibition games. Oops, forgot to mention, the head coach of UC San Diego is little sis Heidi VanDerveer. I don’t think Heidi has ever beaten Tara. There is a meet and greet after this game that might or might not be for season ticket holders that might or might not cost money. The marketing emails contradict what Coach Tucker told us (Hee hee, she talked to us on Twitter, she talked to us Twitter!). After the one exhibition game, Stanford travels to the land of the holy, otherwise known as Ohio, and plays Ohio State in their own tournament, something about Buckeyes. And Stanford’s second game of the season at the same tourney, is against….reigning champs UConn! Fans in the stands surmised that Tara didn’t want to play UConn when the two Samuelson sisters were on opposite teams, but now that Karlie has graduated, all bets are off. We could write a whole ‘nother blog about playing UConn, not one but two streaks broken, the 2010 championship game (where Lindy played against them) and Stanford held them to 12 points at the half, and then Jayne Apple went 0-0 for the first time in her career and Stanford lost by seven…grrr, if only…..Well give Tara the whole summer to prepare and anything is possible, although no streak is on the line, with UConn losing on a buzzer beater to Mississippi State in the semis. What did Stanford do in the offseason? Alanna Smith got called up by the Australian National Team, the Opals (her home country), and played in the FIBA Asia tournament. She averaged 10.8 points per game. Brittany McPhee was called up to Team USA to play in the U23 Women Team. They won the U24 Four Nations Tournament Title in Japan (and no, don’t ask C and R how the numbers thing works). Tara VanDerveer signed a three-year contract extension. C and R bet she wants to beat Pat Summit’s career wins record of 1078 and then call it a career. I think she is about 70 game shy. She was also honored by the Women’s Sports Foundation for her storied career and milestone achievement of her 1,000th career coaching win, reached in the spring of 2017. Who is that introducing here? Only the Fab Chiney Ogwumike. Looking forward to the season! !